Laser skin resurfacing is a procedure that can improve a variety of imperfections by resurfacing the skin. The procedure can restore a more youthful and rejuvenated appearance by minimizing fine lines and wrinkles and sun damage, as well as eliminating the spots and blotchiness associated with more mature skin*. Laser skin resurfacing can also address other skin issues such as acne scarring, skin texture irregularities, and pigmented lesions. Laser skin resurfacing is an excellent complement to other surgical procedures. It helps to produce optimal results for the patient with a more cohesive look. 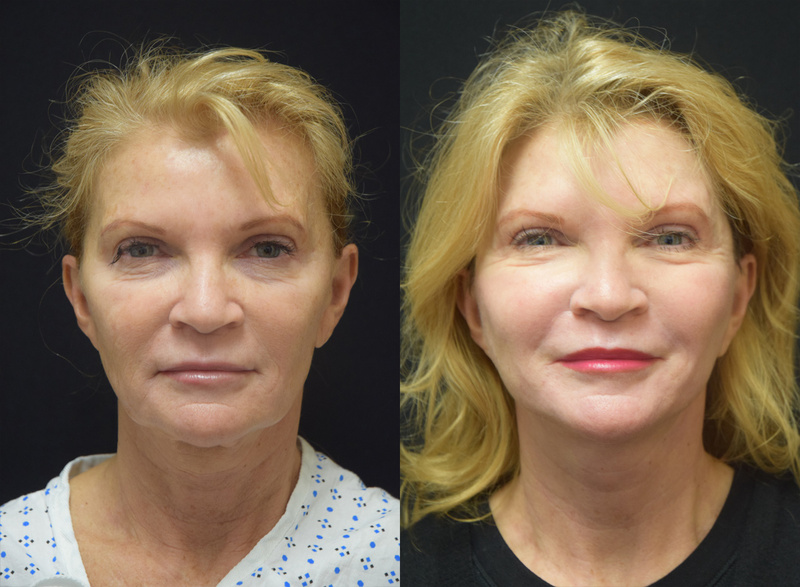 For example, for a facelift patient, with a newly rejuvenated neck and lower face, laser skin resurfacing can help your skin match your new neck! The Wise Center of Plastic Surgery is one of the first practices in New Jersey to offer VECTRA 3-D, a 3-dimensional imaging system to simulate the proposed before and after results of your laser skin resurfacing. Using this advanced 3-dimensional imaging technology, Dr. Wise can help you get an idea of a possible outcome of this aesthetic enhancement procedure. Dr. Wise is happy to meet with you for a consultation to discuss the possibilities available to you through cosmetic surgery and whether laser skin resurfacing can produce optimal results for you. The Erbium-YAG Laser Peel gently removes the top layers of your skin in order to stimulate the growth of healthier and more beautiful skin. The Erbium-YAG Laser Peel is ideal for repairing acne scars, wrinkles, large pores, and melasma, which is dark facial pigmentation from the sun or hormones. Dr. Wise is able to aim the laser at the level of skin corresponding to the specific area to be treated. The fractionated CO2 laser skin resurfacing addresses deeper layers of skin tissues, requiring a longer recovery. The Erbium-YAG Laser Peel addresses more superficial layers of the skin, which results in a shorter recovery time. Dr. Wise is also able combine the CO2 laser with the Erbium-Yag Laser Peel for maximized results. Dr. 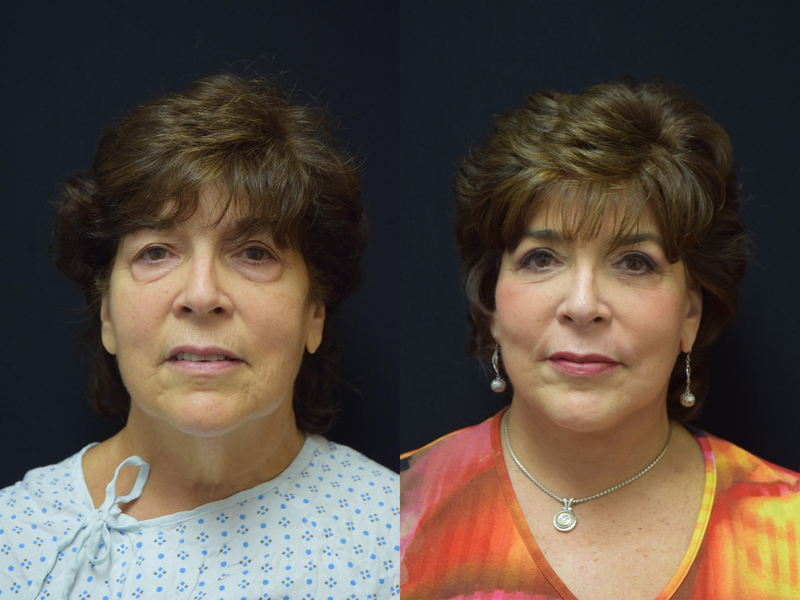 Wise will consult with you on which procedure best meets your skin type and life style needs. Dr. Wise takes a comprehensive approach to skin rejuvenation. After a laser skin resurfacing, Dr. Wise helps his patients maintain and enhance their “new skin” with a customized, post-procedure skin care regimen. For both the fractionated CO2 laser, as well as the Erbium-Yag Laser Peel, patients experience noticeably improved changes in the skin around the eyes, on the forehead, on the cheeks and around the mouth. Both lasers can also treat the damaged skin on the neck and chest. In addition, fractionated CO2 laser skin resurfacing has been demonstrated to dramatically improve the appearance of unsightly scars from surgery, trauma, or acne. During this procedure, your skin will be treated with a powerful light that vaporizes the deeper, damaged layers of skin. You may experience some slight discomfort, but this is eliminated through the application of topical anesthetic creams, nerve blocks, or sedation. During the Erbium-Yag Laser Peel, your skin will be gently treated with a light that vaporizes the more superficial, damaged layers of skin. You may experience some slight discomfort, but this is eliminated through the application of topical anesthetic creams, nerve blocks, or sedation. The Fractionated CO2 Laser Skin Resurfacing procedure is often performed with local anesthesia and sedation. Your treatment may last 30 to 90 minutes, depending on the treatment plan and size of the treated area. Most CO2 laser skin resurfacing patients find that they are well enough to return to work after about one to two weeks, though you will be advised to protect the treated skin from sun exposure and extremes in temperature for a period of time. Dr. Wise will ask you to implement a specific skin-care regimen both before and after your treatment to maintain your results. You can expect the treatment to take anywhere from 30 minutes to an hour depending on the size of the treated area. Most patients experience a few days of redness and mild peeling. Pain is minimal after Erbium. Most of Dr. Wise’s patients return to their normal work and social schedules by the fourth day post-procedure. You can expect your skin to feel smooth and look even-toned and glowing, resulting in a youthful, healthy appearance. Depending on the condition of your skin, one treatment may produce optimal results, or you may require a series of treatments. Dr. Wise will ask you to implement a specific skin-care regimen both before and after your treatment to maintain your results. If you would like more information about Laser Skin Resurfacing contact us here. I am a highly exacting older woman, a total perfectionist, from NYC. I needed some dramatic freshening and change, particularly before an upcoming wedding. Before I did anything, I interviewed many cosmetic surgeons and decided quickly upon Dr. Jeffrey Wise. He met every one of my stipulations. He was compassionate and explained all procedures in great depth, especially catering to my lay person’s understanding. He is undoubtedly the most talented surgeon I have met and certainly the most humble, despite diplomas from Yale, University of Pennsylvania, Cornell, and NYU. He exuded only wisdom and humility. My kind of guy! As a bonus, his extraordinary team of nurses, Sue and Maggie, and his sparkling assistant Diane, did all within their power to make me feel comfortable at all times. I should also add that I have seen Dr. Wise many times after my procedure. Each time, he was concerned, professional, and resolved any issues that I had. Today for the first time I saw my before pictures in Dr. Wise’s office. I cried. I knew he was good – I didn’t know he was a wizard. When I went to see him for a consult, he suggested I do my neck and chin line. We also decided on a laser treatment for my skin. The results are just not to be believed. I will be 65 this January. I look 50….maybe. So we know he’s a great surgeon – now for the really good part – he’s a great and compassionate man with an equally amazing and compassionate staff. To say the least, I am high-maintenance. He and his staff held my hand every step of the way before, during and after the procedure. Two people I especially have to mention are Betty and Maggie. I was able to text and phone them any time day or night. They never acted like I was a bother. They both were supportive, understanding and encouraging. Dr. Wise himself allowed me to text him whenever I was feeling unsure or worried. Im sure I texted him more then any other patient he’s ever had. I was nervous about the procedure, he was there for me. During and after the surgery I had a million questions and concerns. He never complained, just responded as quickly as possible. There is someone on staff to help you every step of the way, including after your procedure to show you what steps to take to protect your investment.